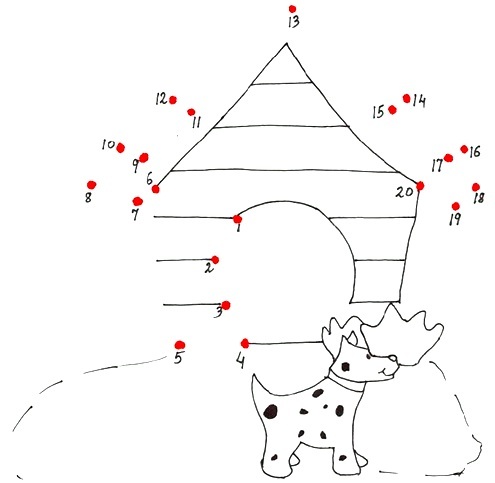 In counting numbers from 1 to 20, we see “the dog and the kennel”, now we need to recognize the numbers, count and then join the numbers in the correct number order to complete the picture. Here we mainly need eye-hand coordination to draw the picture and maintain the number order. We will enjoy coloring the pages after joining the numbers from 1 to 20. It should create a joyful learning environment. Math-Only-Math is based on the premise that children do not make a distinction between play and work and learn best when learning becomes play and play becomes learning.